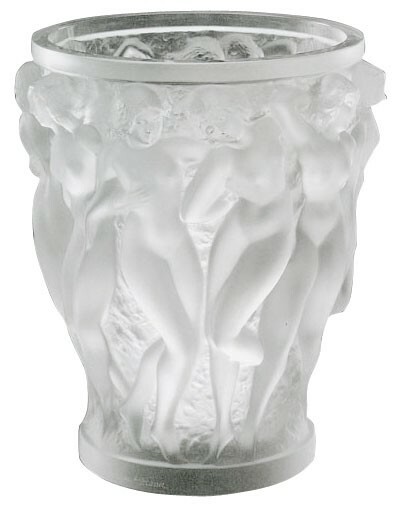 This beautiful Bacchantes vase was designed by Rene Lalique in 1927 and has been in production at the Lalique glassworks ever since. The full length neo-classical female nudes illustrates Lalique's abilities as a sculptor. Each Lalique work of art is created in Wingen sur Moder, France and are signed with “Lalique” and numbered, by hand. Nielsens Gifts is an authorized dealer of Lalique. Please feel free to contact us with any questions concerning Lalique or if you cannot find a piece you are looking for.